If you notice blurred vision, especially when you read or drive at night, cataracts may be the issue. 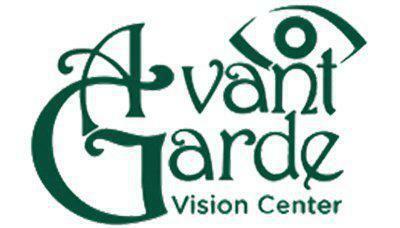 Diana Zabarko, MD, and the team at Avant Garde Vision Center in Wayne, New Jersey, can perform diagnostic testing and find proper treatments to help manage and treat your cataracts. Call Avant Garde Vision Center or schedule an appointment online today to learn more about how Dr. Zabarko and his team can help you with your cataracts. For most people, there’s a clear lens in the eye behind the iris and the pupil. The lens focuses light and images before they are passed through to the light-sensitive tissue in the back of the eye, called the retina. The lens has to be clear for your retina to be able to receive a sharp image. The symptoms usually develop slowly over time with the aging process. Dr. Zabarko can test to see if cataracts are your problem and go over treatment options with you. She may do testing to learn about the structural integrity of your eye. She will perform an acuity test, dilated eye exam, and tonometry to help measure the pressure inside the eye. The lens in your eye is mostly made up of water and protein. The protein is set up in a way to keep the lens clear to keep light and images sharp. However, with time, the protein may start to clump together and cause cataracts. Cataracts usually start in a small area in the lense that’s hardly noticeable and then grows. Diabetes, smoking, excessive alcohol drinking, and exposure to UV light can increase your chances of developing cataracts. If your symptoms are minor, there are things you can do to manage symptoms, such as getting a new prescription, using brighter lighting, and wearing anti-glare sunglasses. However, if vision loss affects your daily activities, cataract surgery is the only effective treatment. 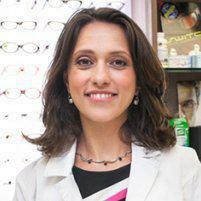 Dr. Zabarko can diagnose different types of cataracts including congenital cataracts. After making the diagnosis, she refers you to trusted colleagues for treatment and surgery. Cataract surgery works to remove the cloudy lens and replace it with an artificial lens. One of the safest and most effective surgeries, cataract surgery is one of the most common surgeries in the United States. Laser cataract surgery is a newer treatment that offers precise and consistent results. Dr. Zabarko’s top-tier knowledge of the procedure allows you to feel at ease when going through the process. And although Dr. Zabarko doesn’t perform the surgery, she helps guide you through the process and refers you to a trusted surgeon. Call Avant Garde Vision Center or schedule an appointment online today to learn more about cataracts and how Dr. Zabarko can help you.